You are here: Home / Blogs / The Fourth Druk Gyalpo – A Visionary & King Extraordinaire. 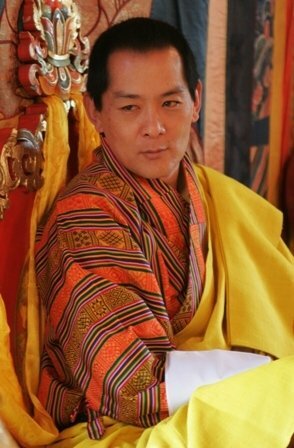 The Fourth Druk Gyalpo – A Visionary & King Extraordinaire. On the morning of December 14, 2006, His Majesty the Fourth Druk Gyalpo Jigme SingyeWangchuck issued a royal decree that declared the Crown Prince, Jigme Khesar Namgyel Wangchuck, the new King of Bhutan. Though at that moment it stunned every Bhutanese, it was a moment in history that was as simple as it was profound. “As I hand over my responsibilities to my son, I repose my full faith and belief in the people of Bhutan, who are the true custodians of our tradition and culture, and the ultimate guardians of the security, sovereignty and continued well-being of our country,” the royal decree stated. That very morning, His Majesty then 51 left the Throne Room in Tashichhodzong from where he had conducted the affairs of state for 34 years and walked away into a quiet retirement, leaving behind a story of astonishing achievement – one of which legends are born. His Majesty the Fourth Druk Gyalpo assumed the Golden Throne in 1974, at the age of 19. In the early years of his reign, he told the world that Gross National Happiness (GNH) is much more important than Gross National Product (GDP). It was not just a feel-good philosophy. Journalists/writers flew in to this tiny Himalayan Kingdom – until then hidden from the world to find out some more about this new approach to development. Today, this development philosophy reverberates around the world. GNH has not only offered a higher goal for development, it has become a reminder to the rest of the world that material well-being is inadequate. What is more important is that people are happy. The journalists, writers, philosophers told the world that the King of Bhutan rules his people from his simple, ordinary log cabin in Thimphu, more in the spirit of the Buddha than of a worldly prince. That was why, when His Majesty abdicated the throne in favor of his son, the world along with the Bhutanese populace was surprised, but not worried. As a young prince, His Majesty was in the protective shadow of his father the Third Druk Gyalpo, King Jigme Dorji Wangchuck – the Father of Modern Bhutan. Still of tender age, the young prince grew under his father in wisdom and stature. He was brought up according to the traditions of Bhutan’s royal lineage, serving as an attendant in his father’s court. He received his early education from private tutors, schools in India and the U.K., and the Ugyen Wangchuck Academy in Paro. The young prince learned of the affairs of the nation by attending cabinet sessions and official proceedings, and came to know the people of Bhutan by undertaking long journeys across the country with his father. When the Third King died at the age of 44, in Nairobi, Kenya, people wondered if the prince, still a teenager then, was ready to take on the mantle of the country. But, he surprised the world. Although, the task at hand was difficult – to take Bhutan on the roads of development while at the same time keeping in mind the happiness of the people, the future of its pristine forests and the sensitive geopolitical realities of the region – the young King succeeded admirably. Bhutan became a mirror for the world that was lost in the mind-boggling figures of the stock markets to stop and reflect for a moment their path towards economic growth. Under His Majesty Jigme Singye Wangchuck’s reign, Bhutan religiously guarded its forests playing an important role in mitigating industrial pollution elsewhere. Honoring his contributions towards placing environment at the center of the country’s constitutional and developmental plans, His Majesty was presented the “Champion of the Earth” and “Champion of the Environmental Conservation” awards. Perhaps His Majesty is the only King in modern history who personally led his soldiers into the battlefield to flush out insurgents who had settled in the southern borders of the country in the December of 2003. However, what is worth noting is that the process that led to the voluntarily relinquishment of power began with the process of decentralization, initiated by His Majesty himself, in the early 1800s. He travelled to every nook and cranny of the Kingdom educating the people about the process and about democracy. In 1988, the historic royal edict enabled the National Assembly to dethrone him by a two-third vote of no-confidence. The members of the Assembly pleaded with His Majesty the King in tears to repeal the decree. But the King had already made up his mind and was adamant to see the decentralization process through. When His Majesty Jigme Singye Wangchuck announced that he wanted to steer Bhutan into the modern era by introducing democracy, the Bhutanese people were unsure. They did not want to leave the caring warmth of their monarch’s wings. But His Majesty was firm. “It is the system, not the throne, which is important. Monarchy is not the best form of government because a King is chosen by birth and not by merit. The people of Bhutan must be able to establish a system which works for them,” he convinced his people. Looking back, Bhutan has made its transition to democracy, but, His Majesty Jigme Singye Wangchuck’s 34 years as a visionary King, is the most glorious moment in the life of this nation that has now fully opened its doors from isolation to modernization.